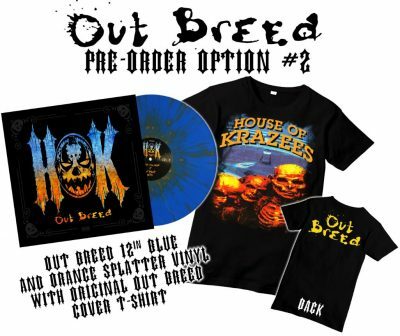 As you probably already know, MNE has been releasing vinyl copies of all of the House of Krazees albums in honor of the group’s 25 year anniversary. 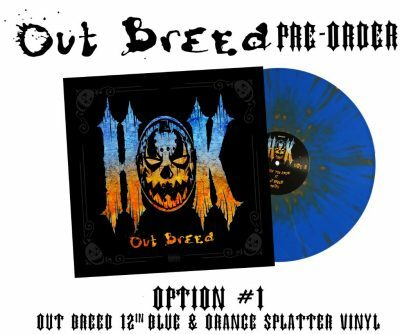 Today, the pre-order for Out Breed went up, and you can get the vinyl by itself, or you can order it with a t-shirt. Out Breed is an 8 track album that was released back in 1995, and you can see the details below. For the first time ever HOK brings you vinyl. 2018 marks the 25th anniversary of House of Krazees that means new items for the first time ever. Outbreed is one of the most recognizable albums from HOK as the cover artwork was devastating!! Grab this the second to last offering of HOK 25th anniversary vinyl now before they are gone forever! !